Coaching development camps are events designed to improve your ability to coach the barbell lifts. Each camp is designed to help guide you in the process of developing your coaching skills with the help of Starting Strength Seminar Staff Coaches. The camp is intended for prospective Starting Strength Coach candidates at any level of their development - whether just starting out as a coach or ready for the platform evaluation. During the coaching camp, we’ll take an intensive look at the how and why of the teaching method, we’ll discuss coaching and what it takes to become a better coach, and spend lots of time on the platform where you’ll get real-time feedback on your coaching of fellow participants. 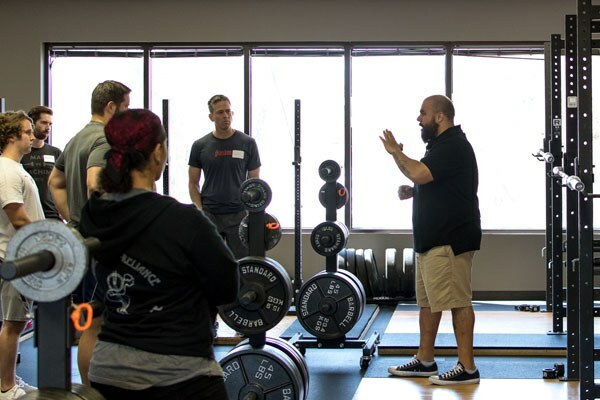 You’ll leave the camp with a better understanding of your strengths and weaknesses as a barbell coach and where you are in terms of coaching according the Starting Strength Coach standard.